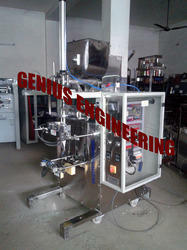 We are a trusted & well knowned manufacturer and exporter of Automatic Shisha/ Hukkah/ Molesses Tobacco packaging machines. Our products are customized according to the requirements of our customers. 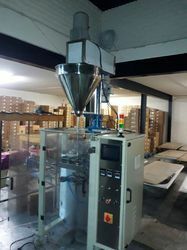 These packing machines are used for the packaging of any type of Shisha Tobbaco. These machines are featured for their robust construction, magnificent performance and low maintenance. We have supplied lots of Shisha Tobacco Packing machines world wide. 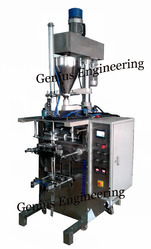 Automatic Collar Type Form Fill And Seal Machine With Auger Filler & Sliding Type Volumetric Cup Filler. Auger filler with sliding type volumetric cup Block. Automatic Collar Type Shisha_Tobacco packing Machine With Horizontal Auger Filler. Packaging Details: Sea worthy wooden pallet on chargeable bases. For 50gm: Approx. 30-35 Pouches per Minute. For 100gm: Approx. 28- 30 Pouches per Minute. +0. 5 – 0. 8%. 5. 7’’ (touch screen, color display). (siemens/ delta/ schneider make). Packaging Details: In Sea worthy wooden case.